East James Court used to be a little cut through street with parking along both sides, remarkable only in its unremarkableness, a way for cars to get between 12th Avenue and 13th and to store their cars for a two-hour block of time. But not a place where anyone likely felt a strong desire to spend a whole lot of time. 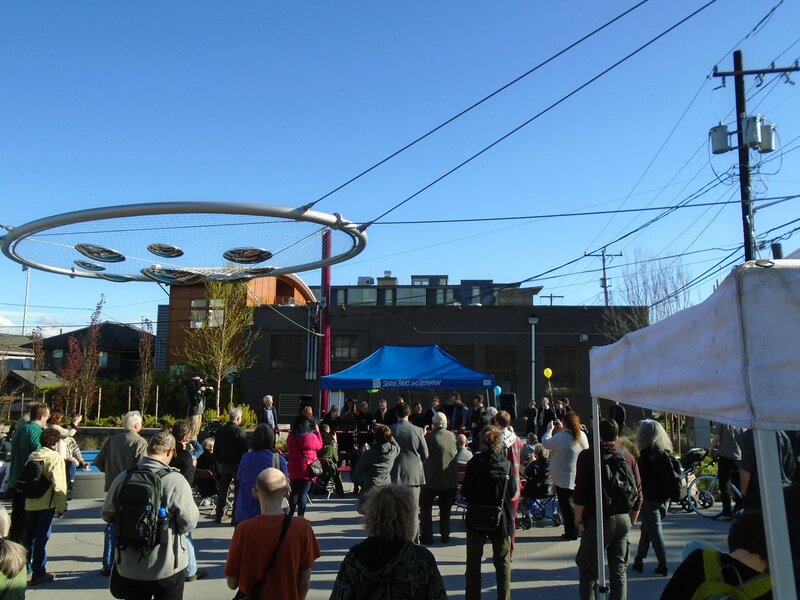 Now East James Court is a complementary space next to the newest park in central Seattle, directly between Capitol Hill and the Central District. 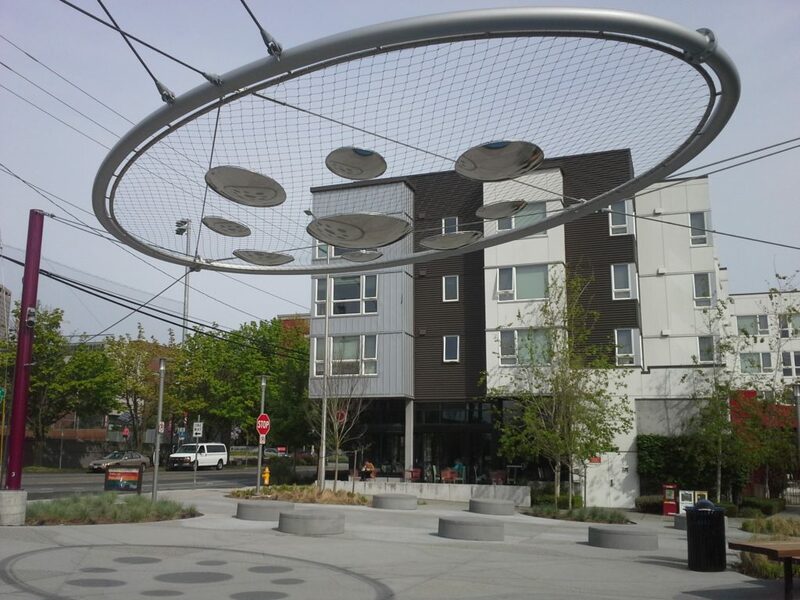 On April 14, the grand opening ceremony was held for this park, which includes one of the biggest pieces of public art to be added to Seattle Parks properties in many years, the “Cloud Veil”, designed by Ellen Sollod. 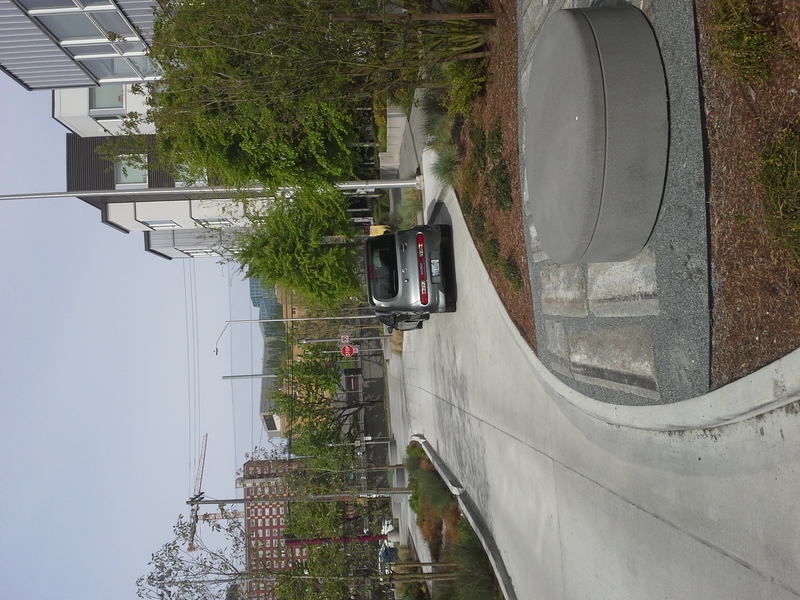 Visit 12th Ave Square Park to witness another example of spaces for cars becoming places for people. Grab a coffee at Cherry Street, or a bite to eat at Ba Bar, take a seat under the Cloud Veil, and marvel at the difference on 12th Avenue now compared with a few short years ago. For the past three years, the worst intersections in Seattle for pedestrians, according to the readers of the Walking in Seattle blog, have all been close to Seattle’s downtown, along Aurora and Denny Way. 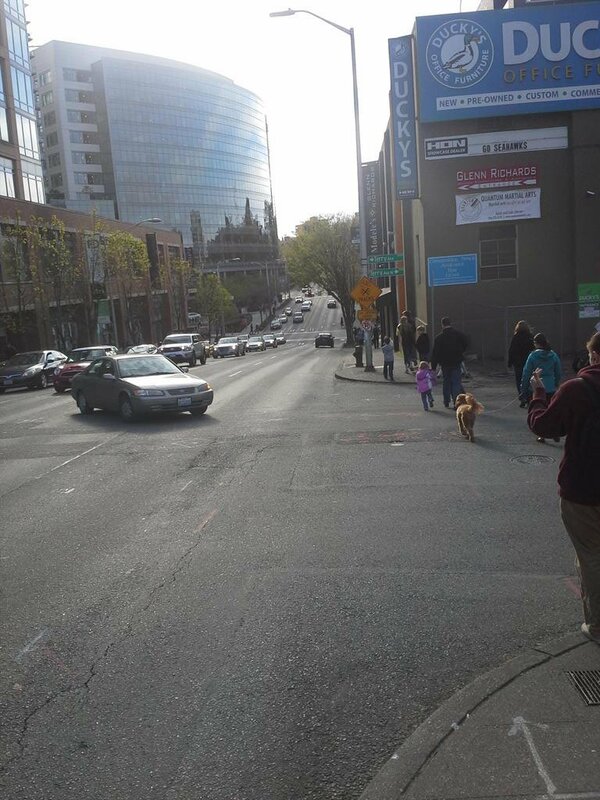 2015’s “winner”- Terry Ave and Denny Way. 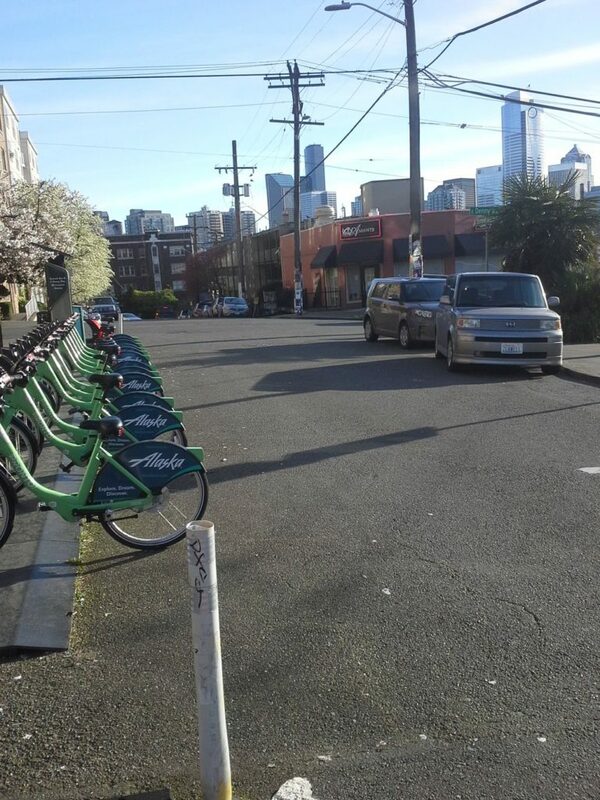 We suspect our readers have a number of intersections that they would like to nominate as worst in Seattle, most of them within our central Seattle greenways boundaries. 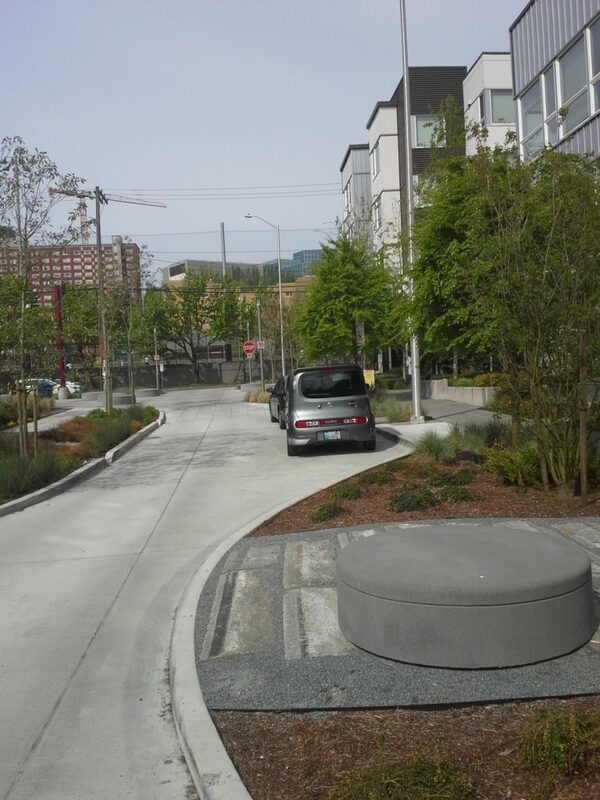 You can nominate an intersection through April 30 at Walking in Seattle and readers will decide if it is truly awful enough to be worst intersection in Seattle.